So I started this post but due to travel and illness I was unable to finish it with the images and extra info. It was pre-scheduled so if you saw a link before and it didn’t go to anything, it’s because I had to pull it. So here it is! It’s A 10 Miracle Leave-in Lite – Used while damp. FOREVER a staple. I love how light this is and is one of the products I cannot do with out that leaves my hair light and fluffy. It’s A 10 Silk Express Miracle Silk Smoothing Balm – Used while damp. 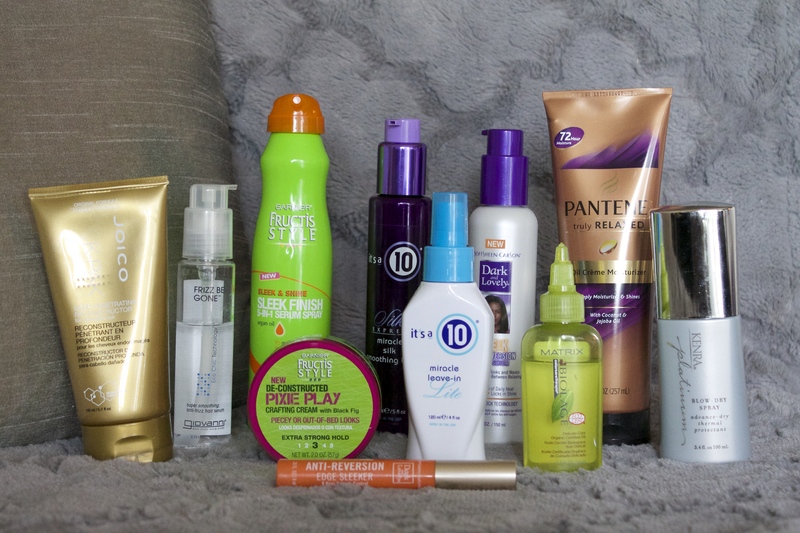 Again, amazing for sheen and helps reduce frizz a lot. Kenra Platinum Blow-Dry Spray – Used prior to blow-drying. One of the best products you can use if you have thick hair that takes forever to dry using a blow-dryer. Pantene Truly Relaxed Oil Creme Moisturizer – This product is my best friend when new growth starts to kick in. It’s not oily, nor does it weigh down my hair and softens my roots. I was in a bit of a panic recently because Target, Walgreens and Rite Aid weren’t carrying it so I had to order it on Amazon. I bought two to avoid any future meltdowns. Matrix Biolage Delicate Care Organic Certified Oil – I love this lightweight oil around my hairline as it helps with the dryness caused from my shower cap. Dark & Lovely 6 Week Anti-Reversion Cream Serum – I have noticed that my roots are definitely softer and more manageable – very important when your roots are visible to the world with a short haircut. Garnier Fructis Style De-constructed Pixie Play Craft Cream – Thanks to this product, I’m able to play around with my hair more when styling it. It’s lightweight and it still holds your hair in place. You do not need to wash it out the next day to style it differently. I use serum and mess up my hair to loosen it up and then add this once I know what style I’ll be going for. A small amount also keeps strays in place. Garnier Fructis Haircare Sleek & Shine Sleek Finish 5-in-1 Serum Spray – If you don’t own a spray serum you are missing out on life. It’s a staple I’ve mentioned before. Giovanni Frizz Be Gone – I use this before blow-drying when I have some new growth and after to help tame the mane. Joico K-Pak Reconstruct Deep-Penetrating Reconstructor – The only treatment you need! 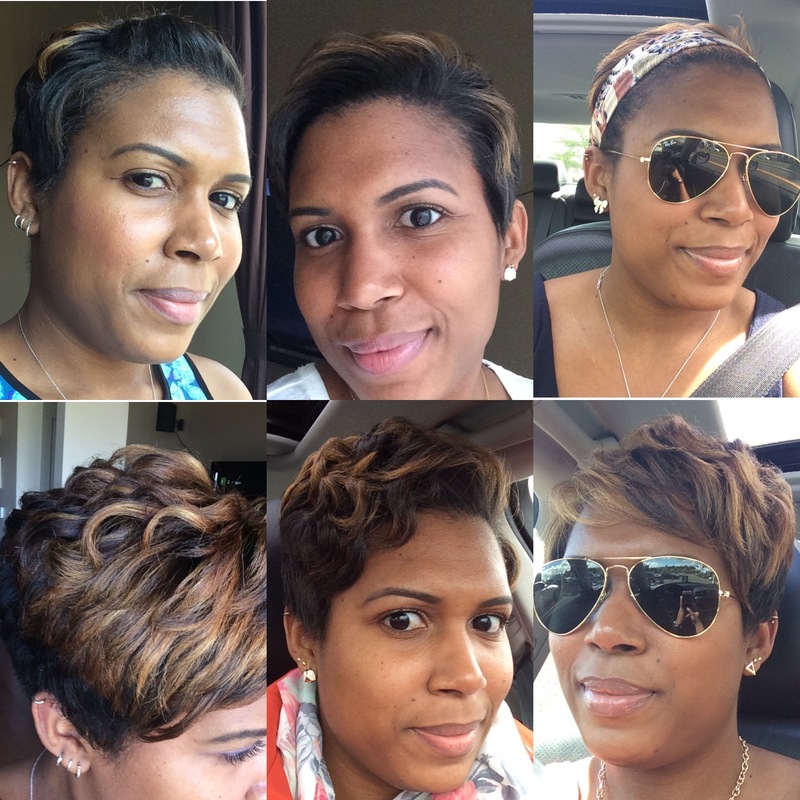 I notice a huge difference in the way my hair feels – soft, light and my scalp feels amazing. My hair is colored and breakage is something I’m very aware of, especially with shorter pieces at the front, so I need a treatment that is going to do the job and this is it. Hot’n’Silky Root Straightening Comb (similar) – perfect for taming the back of my cut when new growth starts to come in. It helps it to sit down instead of stick up and be spiky without extra product. 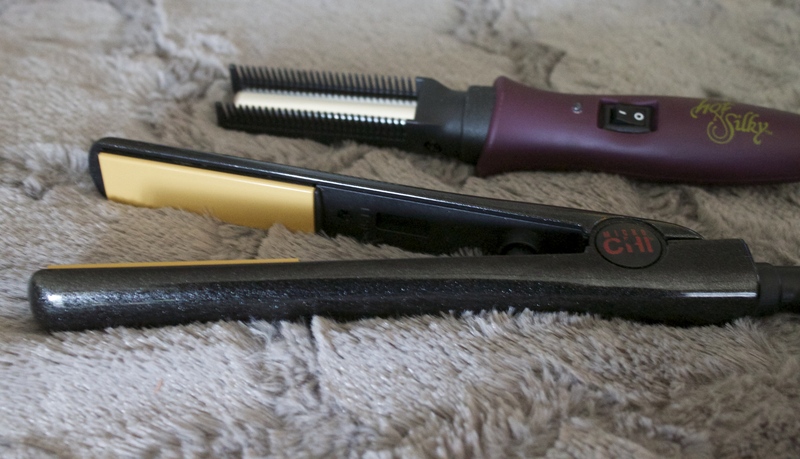 Micro Chi 5/8″ Flat Iron – It’s not my favorite flat iron as it’s a but chunky but it gets the job done. I also go it free with my 1-inch Chi that no longer works :(. I’ve been a bit obsessed with headbands recently. Enough that I’ve been leaving just under an inch at the back so that I can add a curl to it. Because I have a pixie it doesn’t mean that I’m stuck with styling it one way all of the time. I’ve also colored it myself but I think this next set will be done by my hairdresser as I have it too random right now and it needs professional work. Pixies are fun and my hair tends to hold a style for a while so I don’t have to do it as often. After a relaxer, I try to go 10 days before I wash it and then every week after that and stop a week before the next relaxer. I think this is it on my update, if you want to know anything else, I’ll be happy to let you know :).